Modern Media Queries: Key Features of Media Query Level 4 — The latest version of the Media Query spec brings extra features to media queries, as thoroughly demonstrated here. How To Create Native Cross-Platform Apps With Fuse — Fuse is a toolkit for creating apps that run on both iOS/Android devices. See how it works and how it compares to platforms such as React Native and NativeScript. Progressing the Story of Progressive Web Apps — Reiterating Samsung’s commitment to PWAs. 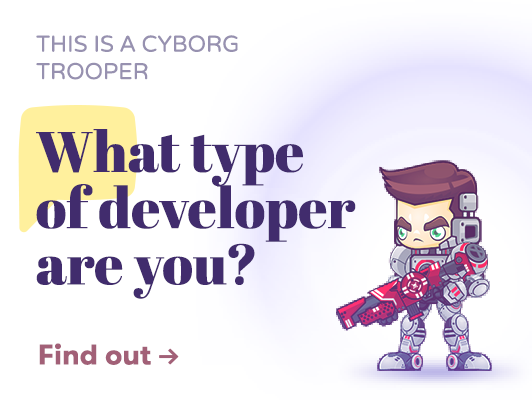 Are you a mobile developer? — Take the Developer Economics survey and vote for your favourite mobile platform, tools and programming languages. You might also win an iPhone 7. Upgrading Ele.me to a Progressive Web App — An in-depth look at how a single page app (SPA) was refactored to a multi-page app (MPA) and finally a Progressive Web App with particular emphasis on performance. Progressive Web Apps — Yeh or Meh? — Members of Progress’s Developer Relations team debate the merits of progressive web apps - do they deserve all the hype that they have been getting? Simple Offline Website — The “Simple Offline Site” repo for building an offline site with service workers has been updated recently and moved to a CodePen to make it easier to try out. The State of Progressive Web Apps — A discussion during Microsoft’s Build conference about PWAs and their benefits. Orientation Sensor First Public Working Draft — The Orientation Sensor API provides generic information describing a device’s physical orientation in relation to a 3D coordinate system. PWABuilder — A collection of tools to help build and deploy Progressive Web Apps. Introducing Vue and Weex for Native Mobile Apps — How to build a mobile app on the Weex platform using Vue.js. How Does MIHTool Save Time When Debugging Webpages On iOS — A new web inspector extension for Safari on iPad/iPhone. React-Native: Lessons Learned — Some lessons from someone building their first React Native app. mini.css - Minimal, Responsive, Style-agnostic CSS Framework — mini.css is a CSS framework designed to be lightweight, responsive and style-agnostic.